Today we’d like to introduce you to Jhon Tamayo. Jhon, please share your story with us. How did you get to where you are today? I started yoga 22 years ago for the purpose of self-healing. I was trying to find inner peace and be able to handle emotional pain and stress. I was looking for a solution that would help me to heal physically, mentally and emotionally. When I took my first yoga class, I realized that I was able to find a natural way to answer all my inner questions. Life has never been a smooth road. As long as we’re alive, life will never settle down, but what yoga can do for us is help us to find inner peace and tranquility so we have more clarity to handle the ups and downs of life. Alright – so let’s talk business. 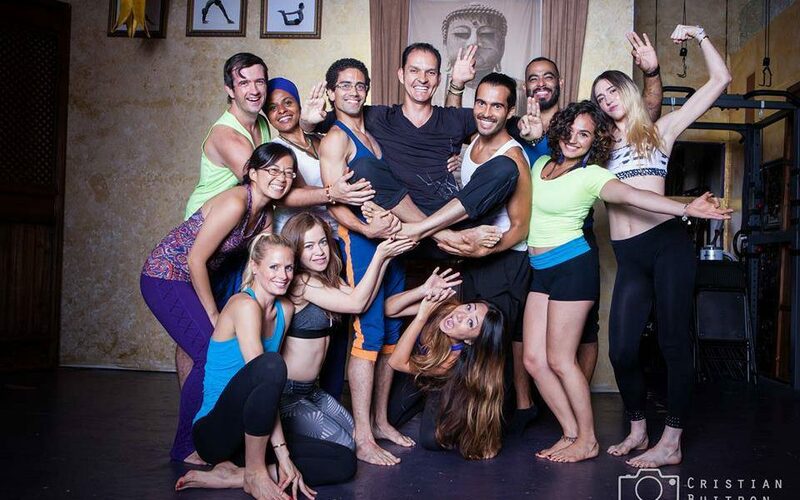 Tell us about Atmananda Yoga Sequence Miami – what should we know? I am also the developer of the Atmananda Yoga Mat. What makes us different from other companies is that we are unique in our approach to work with the students. We see the students as whole and complete and that they are organically and naturally already healed. We never see our students as though something is wrong with them, we see them as beautiful souls with potential and beauty. That is our starting point. We specialize in alignment and our particular sequence is a set of 71 poses that include the 7 groups of asanas or poses that allow the students to activate the 7 chakras and open the 74,000 meridians or channels that our bodies inherit naturally. As students become more consistent in their yoga practice, they develop the ability to pay attention so that they can have more intention to develop more determination that will lead them into more concentration. As students are able to develop those first 4 levels of awareness, they will be able to tap into what is called meditation. Eventually as their bodies and minds become stronger, they’re able to tap into what is called contemplation and reflection, which are the highest states of consciousness. Students must be open, willing to learn, and teachable to get the best of out of their yoga practice. The most inspiring teachers for me for the last 22 years have been my students. They’ve been my teachers all along and I have the ability to pay attention and listen to the needs of the students. I use their needs as my greatest teachers. In reality, there is no teacher and no student. There is only teaching. Students and teachers are learning from each other in the same way that parents are learning from their kids. Eduardo FordGetting in touch: VoyageMIA is built on recommendations from the community; it’s how we uncover hidden gems, so if you know someone who deserves recognition please let us know here.